A wind of change is blowing through the pharmaceutical industry. An industry which has been characterized by heavy regulation and patent protection is about to change. Over the next five years branded drugs with a value of ‘about $255 billion in global annual sales are set to go off patent'1. This means that there will be a lot of pressure to become more efficient and competitive. This is where the powerful SCADA system zenon steps in. What is the solution to all the challenges ahead? Becoming more efficient while still complying with regulation and guaranteeing product safety! A powerful SCADA system, like zenon from COPA-DATA, can help you do so. Having proven its strengths in the world’s most competitive industries, like Automotive and F&B*, zenon is a true specialist in making manufacturing more efficient. 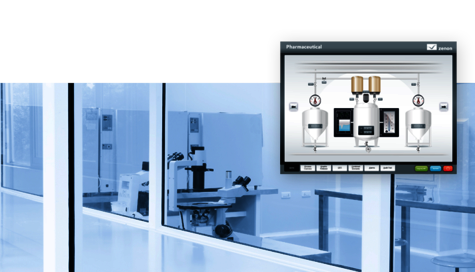 How can the SCADA system zenon contribute to enhance your production? Of course, there’s a lot more zenon has to offer. Download our White Paper now to learn more about the industry’s challenges and how to cope with them. * industry leaders like BMW, Audi and PEPSI Cola have been using zenon for many years to increase their operational excellence.